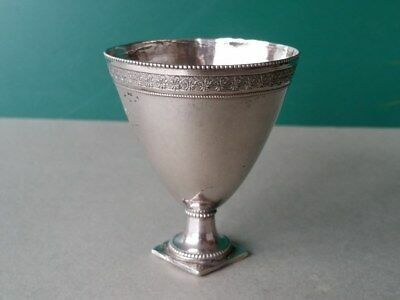 Seller: art-ani (265) 100%, Location: Sofia, Sofia city, Ships to: Worldwide, Item: 202610594308 ANTIQUE & ORIGINAL OTTOMAN openwork lace made STERLING SILVER Coffee Cup ZARF WITH SULTAN TUGRA 19th century Rich and laborious craftsmanship. 100% collector's choice and trove.ANTIQUE ORIGINAL & GENUINE OTTOMAN ERA 19th century!Approximately: h 4.6 x d 5.5cm. 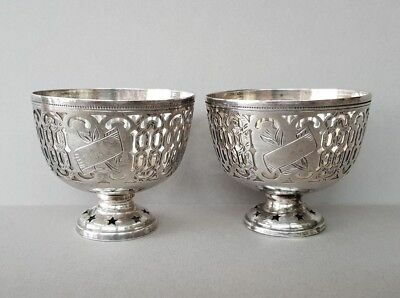 = h 1.81 x d 2.17" Weighs 29.65 grams STERLING SILVERFor Easter eggs or for coffee cups EXCELLENT perfect USED and AUTHENTIC CONDITION! Normal signs of time and use.FOR THE REAL CONDITION OF THE ITEM - Please view CAREFULLY ALL photos! Please be patient and read the entire description of the listing! Items will be shipped out within 1-2 WORKDAYS after payment is received. I ship items with PRIORITY, REGISTERED MAIL, TRACKING NUMBER and so you wouldn’t have to pay additional taxes. My items travel ABOUT: America and Australia 15-20 WORKDAYS. For Europe 7-15 WORKDAYS. Please make sure your shipping PayPal address is correct! I do combine shipping and GOOD discounts. For more than one item please get in touch with me so that I can inform you of the discount. If you are interested I can send more photos,details and measurements. You will receive exactly what you see on the pictures. Please leave feedback after receiving the item and I will always return the favor. If you have further questions, feel free to contact me. Thanks for your interest, your time and your attention. Condition: EXCELLENT perfect USED and AUTHENTIC CONDITION! 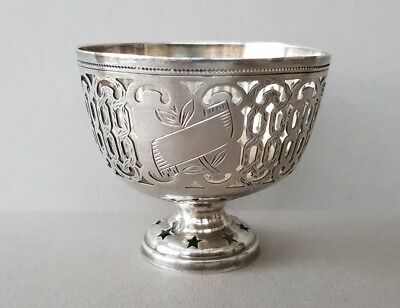 Normal signs of time and use.FOR THE REAL CONDITION OF THE ITEM - Please view CAREFULLY ALL photos!, Material: OTTOMAN openwork lace made STERLING SILVER, Provenance: GENUINE OTTOMAN ERA 19th century!